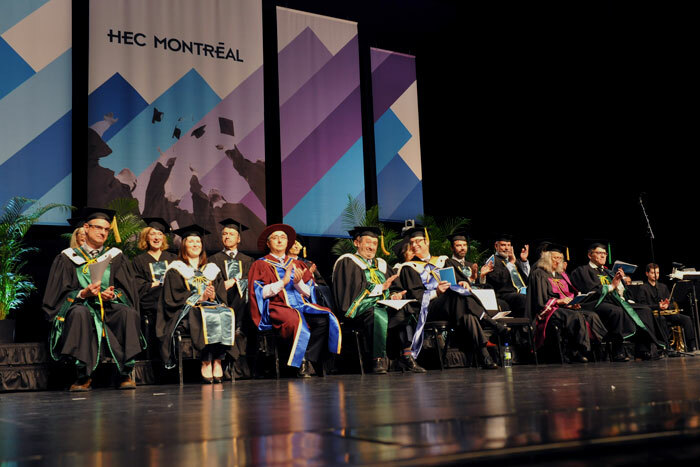 HEC Montréal highlighted the achievements of 1,046 undergraduate students at the convocation ceremony held on Monday, April 30, 2018, at the Théâtre Maisonneuve, Place des Arts. 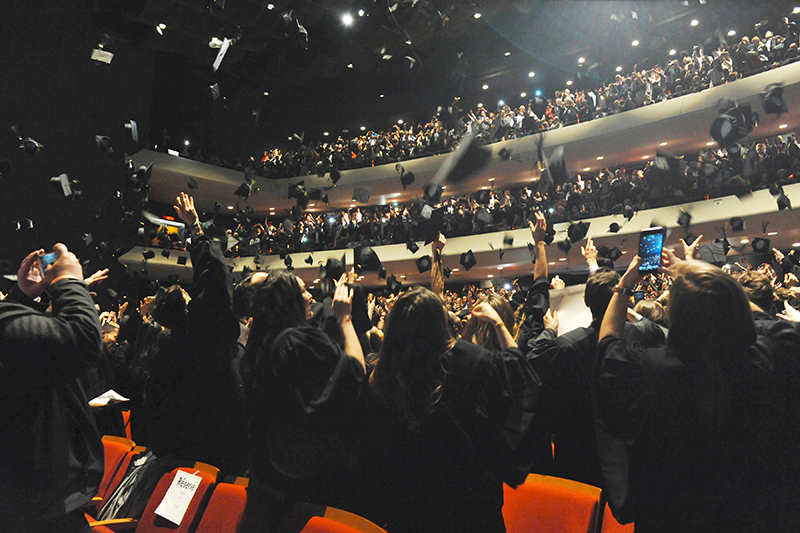 Of the total, 733 graduates attended the ceremony, accompanied by their guests. Two ceremonies took place: the first at 10 a.m., for the French and trilingual stream cohorts, and the second at 3 p.m., for the bilingual stream cohort. The Secretary General Federico Pasin served as Master of Ceremonies for both events. Among the dignitaries present were Michel Patry, HEC Montréal Director, Hélène Desmarais, Chair of the Board of Directors, Éric Filtreau, Vice-Rector of Finance and Infrastructure, Université de Montréal, as well as Louise Béliveau, Vice-Rector of Student and Academic Affairs, Université de Montréal. Videos of the two ceremonies are available on YouTube. Watch the full 10 a.m. ceremony. Watch the full 3 p.m. ceremony.